"I made this one day with salsa instead of tomatoes and found it to be a lot more flavorful! Although it does not taste like traditional guacamole, it's so delicious. The nutritional yeast also makes it. 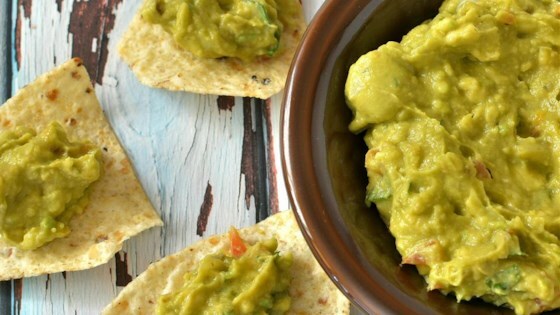 Enjoy with a spoon or tortilla chips!" Scoop avocado flesh into a bowl; mash with a potato masher and stir until somewhat smooth. Top avocado with onion and salsa. Sprinkle nutritional yeast and salt over the guacamole. I mixed the ingredients all together. The hot salsa makes this a winner.